Lately I’ve been getting more into webgl shaders. Been trying to improve my code-sketching speed by giving myself time limits (1hr). Most of the time I don’t have an explicit goal in mind, and it’s nice to see where the shader takes me. 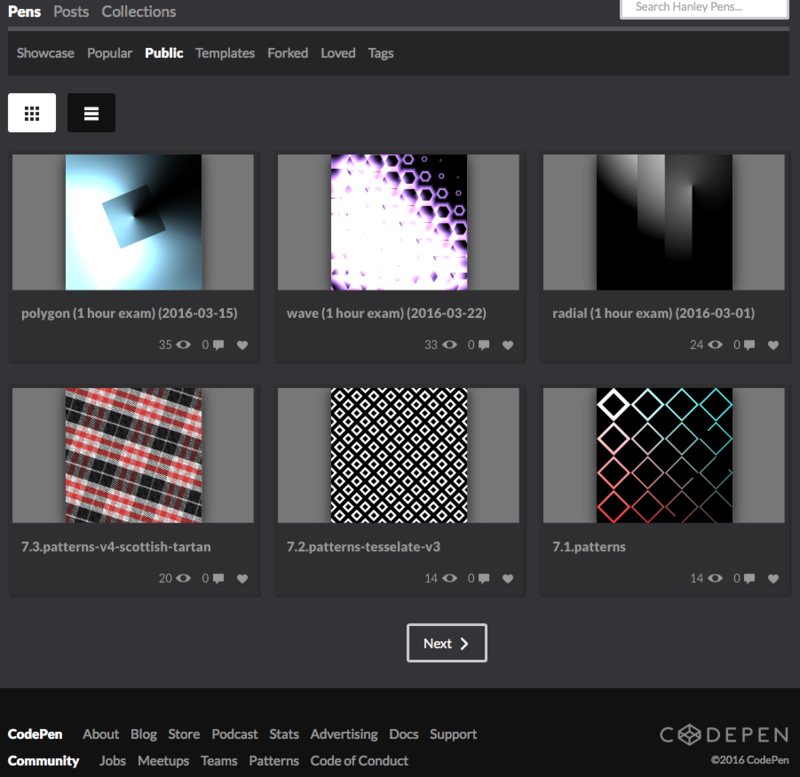 I’m on CodePen, and ShaderToy. These communities, and Patricio Gonzalez’s Book of Shaders have been tremendously helpful. See the Pen 6[4+].drawing-matrices-hud by Hanley (@handodo) on CodePen.